A.Researchers shall contribute to nation and humanity by conducting outstanding research. B.Researchers shall conduct research guided by their conscience as scholars and value the social significance of their research results. C.Researchers shall respect the free research of his/her fellow professors, collaborate with each other for academic development and rationally share research results and intellectual property rights. D.Researchers shall manage and use the research fund with transparency and fairness along with the purpose of research. A.Educators shall make every effort to guide students and nurture them as international competitive talent with intellect and knowledge. B.Educators shall respect students’ individual personalities and guide them with love without any discrimination on gender, age, disability, religion or nationality. C.Educators shall acknowledge students’ contributions of their academic assistance and ensure fairness in evaluating students’ performance. D.Educators shall conduct academic affairs in a careful and fair manner. A.Volunteers shall respect the honor and interests of the university and play a leading role in the development of the nation and society. B.Volunteers shall serve the university and community in an active and voluntary manner. C.Volunteers shall make every effort to keep the university as a bastion of conscience in the midst of social changes. D.Volunteers shall express their political views on pending social issues without losing one’s honor and respect as a scholar under their own individual names and not under the name of the university except under special circumstances. 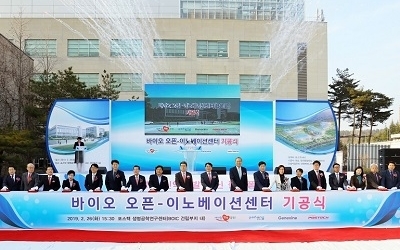 A.POSTECH members shall comply with various university regulations including Bylaws of the POSTECH Foundation and Statutes of Pohang University of Science and Technology. B.POSTECH members shall respect each other’s personalities and honor and not unfairly discriminate based on gender, age, disability, position, political ideology, religion, nationality, etc. C.POSTECH members shall seek a reasonable procedure when making a decision and respect and collaborate with each other for performing duties. D.POSTECH members shall avoid self-centeredness of individuals or departments when conducting a personnel evaluation and performance review and maintain objectivity and fairness. E.POSTECH members shall not ask for a special favor nor exercise unjust influence using one’s rank and position. F.POSTECH members shall keep and manage business information and secrets appropriately known while working. G.POSTECH members shall protect the tangible and intangible properties of the university and avoid exploiting them for private purpose.